Democracy is about those values! 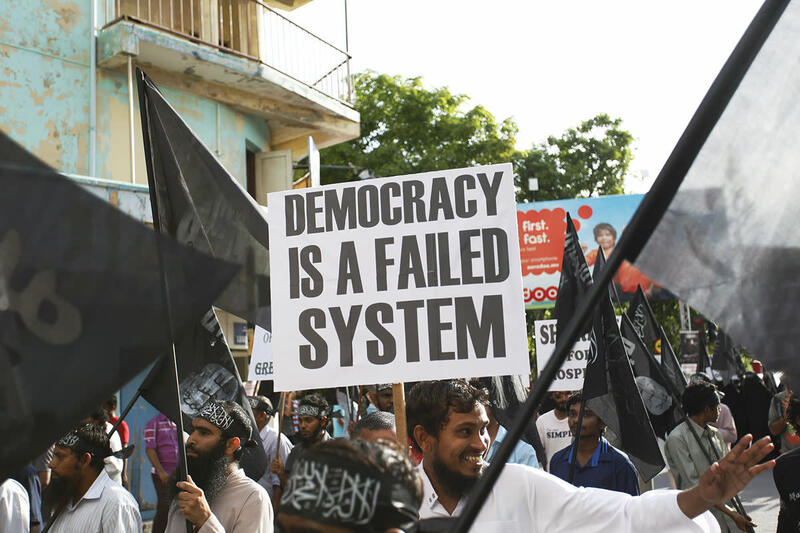 There have been ever recurring question over the years: Is Islam compatible with democracy? And on other side of the coin it goes like; if it is, then why Muslim countries are devoid of it? These historic questions should be answered in great length, for there happens to be many layers of the same problems. It is always been a controversial topic of discussion to begin with; and perhaps the debate has been going on ever since the western world embarked on its journey of discovery and technology and was able to supersede every other civilization, not just Islamic. It was Islamic world that led the world in antiquity and Middle Ages but it eclipsed during the course of ensuing centuries to be over taken by Western civilization. Muslim world was eventually colonized by one European power or the other; and colonizing forces replaced traditional Islamic institutions with modern, liberal ones to modernize and democratize Muslim world. However, Muslim world had its own intricacies that have proved impediment to embracing democracy to this day. On account of that; western world in particular has been asking this question of compatibility of Islam with democratic values of freedom and liberty. Often the theory is not followed in letter and spirit, and this is exactly the phenomenon here; as there is a world of difference between what Muslims do and what Islam teaches them to do. Islam from its inception has been a pluralistic religion; no religion has ever been accommodating to minorities as Islam. The recent history may imply otherwise, however, from the historical evidence this principle of plurality is verifiable. Thus, In comparison with other religions – plurality of Islam was evident. However, non-Muslims constantly mention of being treated as second class citizens and given status of Dhimmis. I have tried to explain these issues in great details in my other hubs titled: “Islamic and Western Values”, which consists of three parts and “Multiculturalism: a debate, Western and a Muslim perspective”, also consisting of three parts. It is simplistic an argument to attribute the failure of democracy to the Islam; when in reality there have been historical, political and social causes that have precluded the Muslim societies to get into terms with modern, democratic values. It was difficult for Muslims historically to face the changed realities to begin with; as it were they who had habit of being victorious and conquerors. It were they who were so accustomed to gain endless victories over their rivals. However, tables had turned on them, and it did not take long to Muslim Empires to become so weak that eventually they were taken over by European powers. It was now time for Muslims to be subjugated and annihilated and ultimately they became so vulnerable that they were colonized by one European Empire or the other. Recent Arab uprising was the testament of the fact that, it was not Islam had prevented democracy but failure of democracy in Muslim world should be attributed to Cultural, historical and political causes; of which imperialistic agenda of Europe and USA has played its due role over the years as well. Now, It is another issue altogether if democracy is most acceptable form of governance; and if all the nations of the world are unanimous in accepting it as such. Well, not all the nations fully approve of it being as the sole acceptable system of governance. Of those are one of the largest countries of the world - both China and Russia: who disapprove this notion of infallibility of democracy. In fact, both have their own political, social, economic and moral perspective to guide their societies according their own form of world views. If we go back to past in the early days of Islamic history: Monarchical form of governance was established after the rule of righteous caliphs. This form of state model was antecedental to Muslims and was already in place in what was a contemporary Empire of Byzantine. 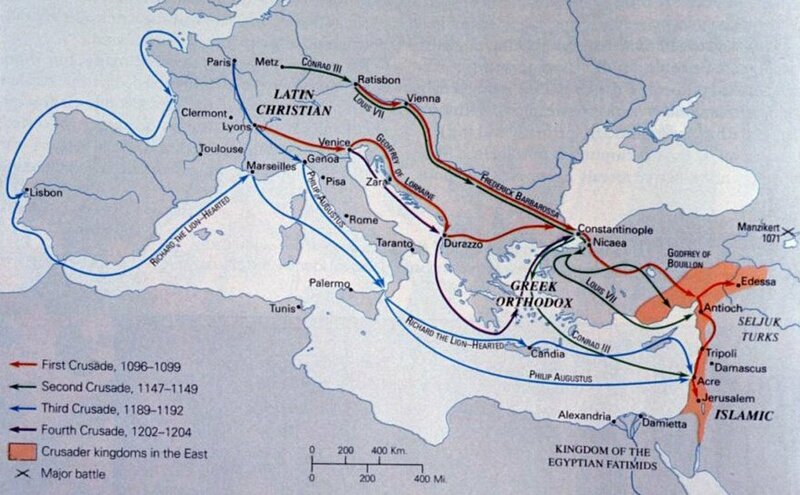 Around that time that time capital of Muslim Empire shifted from Medina to Kufa and then to the Damascus (Syria). The Muslim Empire (Ummayad Empire) of the time was in no way a theoretical empire but an empire where Muslim monarchs ruled with whimsical actions allowing Islamic injunctions very limited space. As per Islamic injunctions; a ruler is supposed to be held accountable to its people in a court of law, if in case, he commits any crime or is guilty of violation of Islamic law. Therefore, no cushion is available to Muslim ruler in airbrushing sacred law; rather he is required to rule with justice, equality and rule of law. Later, from 15th century onward; Muslim lands were colonized by European countries of France, Portugal, Italy and Britain. And after the end of ‘Second World War’, the new decolonized Muslim lands fell to another imperialist power of USA. This was a different form of imperialism of neo-colonization, where in USA went on to install and patronize a power structure through which it was meant to have an influence. Rather it still continues to enjoy considerable influence over the region; but one wonders if it is slowly fading? However recent Arab uprising certainly refutes the idea of incompatibility of Muslims with democracy; notwithstanding the much eulogized 'Arab Spring' being stolen by hard lining Islamic parties. How come Muslims be against values of personal freedom, right of life, liberty and property; which are in large part are the integral values of Islam. In this regard, factually human nature is inherently democratic is irrefutable. People in general, including Arabs want freedom - freedom to establish justice, human rights and liberty. They would wish for a system that can assist them in making their rulers accountable and responsible to them; and such a political and governance system is constituted legitimately. Arab youth, during ‘Arab Spring’ took to the streets to protest against corrupt kings and military dictators starting from Tunisia, Egypt, and Algiers and later on it had domino effect in Syria, Bahrain, and Yemen. Hopes of millions of Muslims were rekindled as they realized that they could do it in similar fashion by getting on to streets by protesting against corrupt rule that had oppressed them for so long. Arab uprisings in Middle East were secular in nature which was indicative of another fact that ideologies of the likes of Al-Qaeda held no substantial ground in mentality of Arab masses. In fact it never had an appeal to the Arab masses in general; apart from a tiny minority of the Muslim masses who thought to have no other way to vent their frustration than to join radical organizations. Muslim world is in dire need of leaders who are able to guide them towards democracy. Ones who empower and enlighten them to shape their destiny, to help them operate as responsible citizens of their countries and fulfill their due rule actively. Muslims have been given their own spiritual framework; that provides underpinning to the very existence of their society on the face of the earth. They led the world in times of antiquity and middle ages, thus It was not easy for them to democratize immediately after ending colonial yoke; from an imported idea coming from their historic rival - namely the Christian Europe. Muslim Empires of past successfully subjugated Europe for about a thousand years; however, later on this favor was returned handsomely and tables were turned on them. But as per discussion; how could Muslims adopt governing system of their rivals when they had their own system of governance. The fact that they have their own code of politics which have been elaborated in great detail by both Islamic scholars and jurists. Islam has been criticized for being a totalitarian system; where there is very little room for secular law. Its opponents presume of it ideology more than a religion; which supposedly encompasses every facet of human life. That was why modernists and democrats of time during colonization were deeply criticized, to the extent they were labeled as western stooges and heretics most often. One of well known historian on the history of Islam: Bernard Lewis remarked in an interview, and his books are replete with such statements that colonization of Muslim world inflicted lots of sufferings on them. He contended that Muslim world had their own peculiar social, political and economic institutions that were supplanted and even replaced by modern colonial institutions of the colonizing forces. It worked as double edged sword in the sense that it did play their role in modernizing Muslim world. However, as a result of replacement of those institutions – a power vacuum was created; that colonial institutions were not able to fill. And the historian said further in an interview that: Muslims world was always an advancing society for its first thousand years, but then it eclipsed. In comparison with its western counterpart, it fell behind and west advanced. The concepts of liberty, secularism and democracy were generated in western world; and it became too powerful for an Islamic world to be competed in any field. Islamic world was defeated by western world not just in the market place, school room, laboratories but in battle field as well. This is not a new debate to begin with; perhaps the debate began around the time of colonization of Muslim world. Whereby, it was seen in opposing liberal, modern, democratic western values, in the sense that conservative factions of Muslim societies wanted to protect their own traditions of piety, simplicity, fear and worship of God and of establishing God's order on earth. This discourse, however, if Islam is compatible with democracy, has got intermittent momentum over the course of decades, most recent instances have been the 'Arab Spring' and 9/11. Immediately after the ‘Arab Spring’ there was euphoria all around the world about the prospects of democracy in the wider Middle East. As young people, elderly from all walks of life took on the streets protesting against dictatorial and authoritarian system. However, it became evident that much eulogized Arab Spring did not bear the fruits one hoped for. As ill-luck would have it – Morsi of Egypt wanted to turn his own country into an authoritarian state, so thought wider western audience. Muslim Brotherhood always ran a risk of turning what was to become potentially a democratic country into authoritarian country. Islamic world in the past experienced number of different forms of governing structures. Caliphate firstly was established by Prophet Muhammad (s) himself and later carried out by his four associates. After the death of fourth Caliph Ali; came the Umayyads, Abbasids, Seljuks, Mughals, Ottomons, Safavids. They were all different form each other in one way or the other; as Medina was a city state and rest of the empires were diversely multi-ethnic and multiculturalists. Umayyads were largely Arab ruling clans, whereas Abbasids were multi-ethnic ruling elite. Even at this point in time of the history; Muslim world has been experiencing different versions of governance as it has traditional and constitutional monarchies, theocratic Islamic and secularists' regimes. Any system of the belief has to have philosophical and spiritual underpinnings. One of the renowned western author and philosopher of the 20th century Arnold Toynbee predicted in his book (study of the history in the middle of 20th century) the failure of communism as it does not stand on moral and spiritual foundations. Pure democracy of western style would never be established in any Muslim country as philosophical premises of both Islam and democracy are different. But some sort of synthesis is possible as there are Islamic values which are in perfect consonance with democratic values and vice-versa. At the same time there are values which are in contradiction with democratic values. 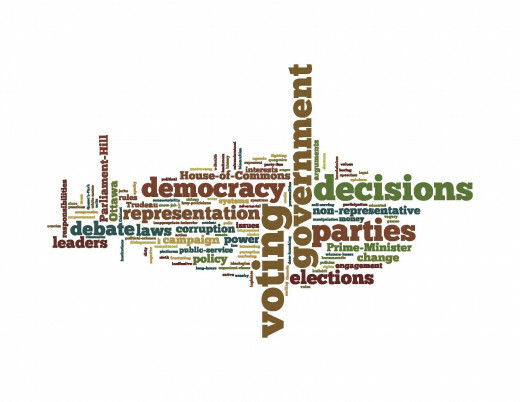 In Islam sovereignty belongs to Almighty God not the chosen representatives as in democracy; this is most apparent contradiction between Islam and democracy. Furthermore, no legislation would be passed which may contravene Islamic law. As per conservative understanding of the Islamic law, nothing can be made part of constitution of Islamic republic, which is in contradiction with Quran and Sunnah. There are lots of questions that need to be resolved in answering this: if Islam is compatible with democracy, what is Islamic concept power and the role of community/citizenry? Nation state was not part of old school Muslim thinking – it were colonizing powers that introduced this secular Webarian concept and divided Muslim lands in to nation state in 18th and 19th centuries. As I hinted above that power derives its legitimacy form Islamic religious law, therefore, it is juristic and theological establishment that interpret Islamic law and determine what is legal and what Is not. That is something against the essence of western secularism as politics and religion are inter-mixed in Muslim school of thought from the very first day. Thus having observed this – the pessimists point right away to the cultural gap between Islamic culture of religious values and western modern democratic values. Who go on to conclude, likewise the inherent contradictory nature of Islam against modern, democratic, liberal values. In this way if state is subordinate to religious law which is a divine law so are its rulers. Rulers of the Islamic republics idealistically cannot take political decisions against sacred law. And any decision taken otherwise stands null and void from the spirit of sacred law and of concept ‘Ideal Islamic State’. Political and legal entities were not always in perfect cooperation with one another, as there were instances of conflict between the two throughout Islamic history. Ruler is God‘s deputy on earth and one who has inherited power to realize God’s will. However, due application to the sacred law must be accorded, and the ruler must be elected by the consonance community (Ummah). The community elects its rulers after reaching some kind of consensus known as 'Ijima' in Islam parlance. It may be surprised to many of the Non-Muslim observers and commentators, who do think that citizens in Muslim countries bear no worth. They find worth only through democratic system and are dignified hence, the religion of Islam does not uplifts them rather degrades them. No notion is preposterous than that as Muslim community as per essence of Islamic traditions of Sunnah is free from any error. Indeed it happens to be infallible, when it comes to making any decision, let alone electing their rulers. This fact of infallibility is solidified after a saying of the Prophet: “My community would never agree on error”. Thus consensus of community is held as very sacred and indeed is one of the foundation of source of Islamic law. However, this process of election of a ruler should also be ratified by ‘Shura’ – the consultation, as God instructs Muslims to consult one another. These following verses of Quran would certainly shed some light on the importance of ‘Shura’. God Almighty ordered the Prophet to consult His companions in worldly matters. The righteous caliphs continued this practice of consultation following in the footsteps of the prophet Muhammad (s). One of the drawbacks of ensuing regimes was to stop this traditional practice that was so beneficial in every facet for a Muslim society. Little doubt is left then as to why those kingly regimes were so autocratic. In addition, election of third Caliph was done through Shura council of six noble Meccans, who were duly appointed to elect third Caliph in 644 A.D. So we can conclude that decisions are arrived at through consultation while the assemblies (MAJALIS) are the places where the consultation (SHURA) takes place. Perhaps that is similar to what many of the traditional Islamic scholars call - theo-democratic essence of Islamic law. There is school of thought of Islamic scholars who are willing to draw similarities between Shura and democracy. Many have even asserted that Shura served as harbinger to European democracy later. Veracity of such assertions is not the purpose of discussion here; but it is clear that how far some Muslims are willing to make scholarly and wider audience believe of similarities between Islam and democracy. The relationship between ruler and ruled is pretty much established explicitly by an Islamic injunction of “Commanding right and forbidding wrong” (3:104). According to this verse every Muslim had been given right to stand against an unjust ruler; which is considered as the noblest of Jihad. Rulers of the past abhorred this principle; as it was suspected to pave the way for a mutiny against any form of unjust rule. Therefore, they tried successfully to constrain the application of this rule to a religious realm; which they did. The rulers have to be legitimate chosen and thus they are responsible to the people they rule and serve. In Islam authority has to be legitimately constituted; Ulema (Muslim jurists) in middle ages and in recent times approved the rule of monarchs who were dictatorial and authoritarian rulers just to prevent anarchy. This line of argument is frequently heard from western political commentators that Arab, Islamic regimes do not tolerate presence of opposition parties. However they hypocritically remain quiet when those opposing parties happen to be Islamic parties, as in this episode it is all about preferring stability over anarchy. While the Ulemas who approved such rulers often became integrally associated with ruling power structure. 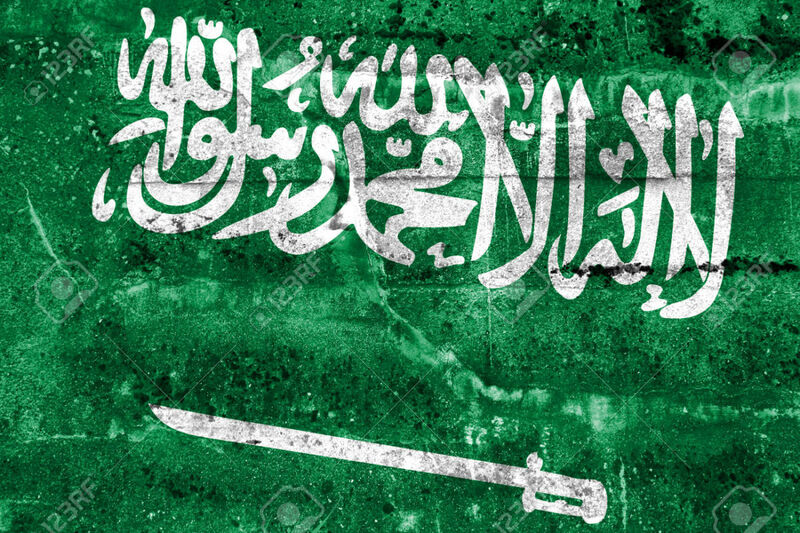 By the same token, Saudi Ulemas gave religious decree (fatwa) in favor of monarchy that entailed any rebellion against the monarchy was un-Islamic as it consequently may result in anarchy. It is evidently regarded that there is a close association between Saudi Ulemas and 'House of Saud'. Sadly Arab Spring did not bear any fruits; and definitely it would not be wrong to call it an ‘Arab Winter’. Al-Morsi of Muslim Brotherhood had huge responsibility over his shoulders of steering his country to a successful democratic transition. It was incumbent on him to understand the dynamics of his country and be sensitive of minorities of Egypt. In Iraq we have pseudo-Islamic state; that has come to surface owing to power vacuum. That was left as a result of U.S withdrawal; and now whole region has been destabilized by the self styled Islamic state. Islamists' parties were only power in waiting to grab the power in case of a resultant power vaccum, that emerged after over throwing of regimes. No other groups were ready to replace the outgoing regimes of Mubarak, Ben Ali, Saddam etc. it were only Islamists to rule the roost, and that is considered as one of the causes of failure of Arab Spring. Furthermore, one of the essential characteristics of any system to take roots anywhere is if there is any receptivity in the host to embrace the system. Therefore, it is not wrong to conclude that there was no credible receptivity to take a giant leap in welcoming democracy. So, in the end it is the people who get to decide about their destiny. We have in Pakistan a system in place which is no way near to be called as western styled democracy. But we are experiencing and learning with the passage of time, and it is getting better, notwithstanding the ever powerful, encroaching military establishment. It would not be unjustified to call Pakistan a democracy in transition, however, military in Pakistan is going to wield the power in coming decades, there would not be any end to that any time in foreseeable future. Muslim world is not a monolithic whole formed of a big homogeneous group. It consists of many ethnicities, cultures, values - it is as dynamic as any civilization, if not more. It is home to many conflicting traditions and values and by the same token, there is often a controversy regarding interpretation of divine law, which is done just to attain specific purpose with political expediency. Ideally no ruler is responsible to its people as much as the Muslim ruler; and thus political parties are depended on the feedback of community. This though is a process deemed under construction; for a democracy to thrive and prosper in Muslim societies, It needs to connect with the essence of religion itself, so there is no other way. We may never become western style democracy, but we can become different in our way for certain. It is high time now that term like ‘Muslim Democracy’ should be used; as it is highly probable that Muslim societies are never going to transform into liberal western societies. Conservative viewpoint is the only weapon that can defeat fundamentalism intellectually. Nonetheless, such a school of thought is still under construction. Furthermore, those who may object to jargoning Muslim democracy should bear in mind that just a century ago; Catholicism had declared a war on democracy. And similarly not long ago it was a common held belief among top political scientists that Orthodox Christianity was against liberal and democratic values. By the same token, it is true that concept of Christian democracy was laughed at for some time; therefore, I wish same for a concept of 'Muslim democracy'. everybody has the right to defend their set of beliefs and both sides of the picture must be contemplated.the great media works as an opinion leader and has set the criterion of goods and bads. perhaps the defamatory status of Islam has been portrayed by media. the anals of the history has revealed other religions been persecuted. if muslims of Palestinian state kills other muslims, than the evident hatred between the catholics and protestants should also be scrutinized. the catholic France and the protestant Britian had series of wars in the history and religion played a vital role in all. I said interpretation varies from faction to faction so such tendency is applicable to every religious texts.Why didn't he name his successor one can only speculate for the right answer is known by ALLAH (swt)and His Messenger-QURAN gave guidelines so who ever fitted those was the successor of Prophet; thus Caliph ABU BAKAR was appointed as His successor followed by the consultations of the then righteous Muslims. every religion has the factions-Christianity has those also- and the magnitude of enmity and the wars that christian factions fought among each other is an undeniable historic reality; antagonism continued until late 18th century.It has ended now as there has been end of Christianity in public domain; it is now a private matter so far. could you elaborate your last argument a i have so much room to presume which wont be good idea as for as this discussion is concerned. You say the Muslims don't have the problems of interpreting their bible, as do the Christians at least in Europe. The problem with that statement is that it ignores the fact that Mohammad created the Quran and when he died he didn't have a successor named. So now there are two factions of Muslims that supposedly have the same God, but have figths, some deadly over who took over from Mohammad. Apparently Mohammad is of no help in solving this religious problem, and there has been no word from God either. yeah partially i would agree with you...take care Mr Harvey. Mtar, Muslim's are much more killed and persecuted by Muslim's. Palestinians are used by oothers to do their dirty work. All Muslim countries fear Israel, or there would be know Israel. So the ignorant Palestinians are sacrafised. I'm ill, and too tired to continue. Harvey, I would like to say that Muslims are around 1.5 billion; so imagine if all were terrorists ones those hated non Muslims. This world Mr. Harvey would not have been the place to live it would simply have been hell. So may I suggest that 99% of Muslims are definitely peaceful, similarly one (any Muslim) you come across should be deemed peaceful unless proved otherwise by the concrete evidence. I am from Pakistan where there is its own brand o anti Americanism, but to kill any other innocent human being is unpardonable thus should be severely punished, so those who kill Christians in Egypt should be condemned on every forum possible. How ever there is other side of the coin which is USA as a state has killed hundreds and thousands of the innocent Muslims in IRAQ, AFGHANISTAN. I live in Pakistan where America carries out its drone attacks in tribal belt of the country; numbers says few militants have died but massive number of death tool is of civilians. So ones whose loved ones are killed of drone attack go out killing non Muslims. There has been instances where innocent Christians have been persecuted in Pakistan and a church was fired on one unfortunate incident, believe me every Pakistani was reviled by that coward act. Now I am not defending heinous acts but one should see the whole picture with impartiality. its wrong that innocent Christians are persecuted in Muslim world but why should it be seen through different prism when thousands and thousands of Muslims have been killed by American wars. one would have thought that America has avenged its 9/11 but for some one reasons it carries blood bath on and on and never ceases. I see those who are part of American establishment and those who are regular citizens differently-citizens of the aggressor country should not be persecuted at any cost, there is no excuse in favor of such argument- personally I see ordinary Americans very innocents ones who easily buy what their government tells them. Relationship between Jews and Muslims were good before the establishment of state of Israel; Jews took shelter in Muslim Spain to evade persecution in rest of the Europe, but in 1948 Muslim land was excised by the British to create the state of Israel, not withstanding the history of last 60 years I would strongly advocate peace between Israel and Arabs but on a condition of two state solution. Yes Muslims should befriend Israel but on condition of two state solution, dear Harvey Palestinians have been miserably persecuted by Israelis but not many westerners talk about that. yeah learning is always good no matter even if it is Israel. mtar, You sound like a peaceful man, but there are other things to consider. 1- The US has no idea of who these youths are. I believe it is The Muslim Brotherhood, which has changed its name to, The Party of Peace & Democracy. As in Egypt, their true colors are coming out. Killing Christians and breaking part of the Peace Treaty with Israel. All Hamas and Hezbollah know is killing. 3- What is being preached in the Mosques in the USA. It has been shown that 81% of the Mosques advocate Sharia Law, and the destruction of the United States. You may not care for my solution. Muslim countries should befriend Israel, and learn from them. Israel has accomplished more than any country in such a short time. Hi Harvey; yes you are right colonization came before the discovery of oil, how ever colonizer didn't colonize Arab world and rest to get them out of the fight among themselves or to modernize them economically and politically. Colonizers always had their imperialistic agenda, notwithstanding the benefits of the colonization. Europe modernized by abandoning Christianity as it precluded modernity-Galileo was implicated and died as he went against the bible belief...none of such contradiction occurs in Quran...Muslims don't believe that; since to us Islam is a way of life; it has given the broad guidelines to solve the social, political and economic problems. Of which knowing and worshiping divine GOD is top most important objective. Europeans in times of dark ages fought amongst them selves over ‘what is exact nature of Christ’-millions of people had died thus many books have been written later titled blood on the cross. Europeans persecuted Jews for two thousand years for the reason I suppose you know. But Muslims had to be blamed for today’s terrorism courtesy to the people like OBL-I abhor him and millions of young Muslims do same This one man has hurt us so much. I have heard few western observers that Muslims are medieval thinkers they averse to modernity and are incapable of progressive life style. A Muslim wouldn't want to be like a westerner in terms of he or she behaves morally; family in Europe has become ultimate casualty…..; we have heard of different rights that no religion or moral cult would approve of but that is how the western democracy has been- there is so much good and indeed morality is one casualty of the western democracies. Quran orders us to respect our parents love our younger ones; it wants to create a society where there is brother hood, tolerance in communities and amongst different communities. we know we have shortcomings but as a student I haven’t come across anything that is regressing in relation with a good progressive society. I have personally read QURAN with the motive to find contradiction but failed to see so far. If you can specifically come up with something that you deem as regressive and backward I would more than welcome it. I have read how Europe was in dark ages for centuries; precisely in that time Muslims flourished in every aspect; we had doctors, philosophers, scientists etc. Indeed many scientific. Astronomic etc projects started in Muslim lands some completed and are valid till today and some for some unknown reasons couldn’t and were in developing stages. Venice in Italy was the place that started the European renaissance and spread it in whole of the Europe afterwards. Students from the Venice studied in Muslim Spain; it were Muslim intellectuals that took over from the Greeks and did discovered many things but for mysterious reasons which I have personally failed to comprehend, Muslims regressed thus so did their societies while they stopped to think. Then it were the Europeans that took over from Muslims and did wonders, and I personally believe that world owes much to the Europeans for their progress of five hundred years…regards dear Harvey. mtar, I'm not so sure I can agree with you on all your points. Colonization came way before oil, but in todays world it is almost everything. The Arab's were totally tribal, with constant fighting. This was between themselves in most cases. Colonization actually helpedstopped them from killing each other. When they became countries, they resumed the killings. Boundries helped mesh many tribes together, but the colonizer left them with a King etc. If they weren't taught about oil, they would only have camels. I am no expert on the Que-ran, but it has led to society that do not measure up. Women have not been allowed to do much, until recently. That is only in certain places. I know you are doing your best to be even minded, and you have succeeded. I admire that! As far as Democracy goes, we will all find out that it is not the everyday person behind this. When elections come about, watch for "The Muslim Brotherhood" to take over. The Party may be under a different name at that time. Thanks HSchneider for the comments, yeah you are right colonization had done its part to preclude democracy in the Muslim countries; however it wasn't just the oil that west was obsessed with in the Arab countries but protection of state of Israel has been the top priority of the western nations-USA in particular, from the threat of antagonistic Arab countries to the state of Israel.Thus middle east has been very strategic to the western nations after the second world war as it provided them a hedge against communist Russia. I am from Pakistan which i think is very different from middle eastern countries in the context that i have referred above. Very interesting Hub. I was glad to read an assessment of the Arab Spring and its past history from someone who lives and grew up in the area. You are right that past colonizations and the West's addiction to Middle East oil has a lot to do with the lack of democracy. I am very glad to see these revolutions and very sad to see these dictators' brutal and bloody supressions. I sincerely hope democracy takes hold all over and these dictators are overthrown. I too believe that democracy is compatible to the Muslim world and everywhere in the world.